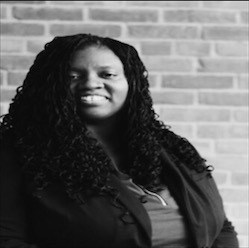 Kenyona “Sunny” Matthews is a motivational speaker focusing on issues of diversity, inclusion, and anti-racism. She is a University of Akron School of Law graduate who focused in civil liberties. She earned her Bachelor's from Guilford College majoring in Political Science, Philosophy, and African American Studies. Currently, Sunny is a Deputy Service Bailiff charged with organizing the court dockets and files, handling the video arraignments for the newly arrested, and being a liaison between the court, police, and the jail. This provides her with a unique perspective on the state of America. Her passion is to create an inclusive and supportive environment where people ‘get honest’ about issues of racism, classism, sexism, and all other oppressive systems. She believes that open and honest dialogue about the power structures of oppression and their effects will help to heal our community. Most who have heard her speak would agree with one workshop participant who said, “In every situation (Matthews is) thoughtful,” said Brynne Kirk. “Whatever she’s going to say, I’m going to listen."